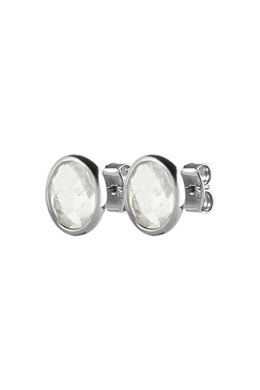 Studded day - and evening earrings in a polished silver toned finish with a translucent white oval-shaped facet cut crystal. 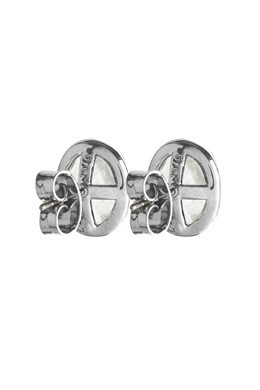 These earrings will definitely lend you all the sparkle you need on a rainy day. With a butterfly closure.